Is the Chinese Shar-Pei right for you? Find your perfect match now! “Shar-Pei” means “sand skin” in Chinese — it's a reference to this breed's rough, short coat. The Chinese valued this breed for its unusual blue-black tongue, believed to keep evil spirits away when the dogs barked. 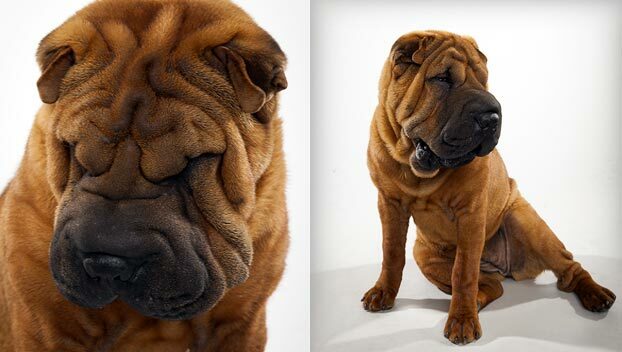 The Chinese Shar-Pei is an especially unusual-looking dog, but those wrinkles aren't just for show. Their loose skin helps protect them if they're attacked. In fact, they were originally bred to protect Chinese Royalty 2,000 years ago. Originally from—you guessed it—China, this medium-sized and medium-energy breed can grow to between 45-60 pounds and lives an average of 8-10 years. The breed is recognized by the American Kennel Club and classified as a member of the Non-Sporting group. WHAT IS A CHINESE SHAR-PEI'S PERSONALITY LIKE? 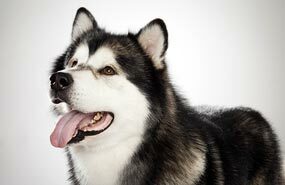 These dogs are devoted and loyal to their chosen people and make better companions for adults than for kids. They're not particularly playful and are more suited to being around older children. The lordly Chinese Shar-pei often can't be bothered to take notice of strangers on the street, but they can be protective of their people and territorial of their space. WHAT IS CHINESE SHAR-PEI BEHAVIOR LIKE? This is a somewhat active breed that requires moderate exercise — think longer daily walks, multiple short games, or a quick jog around the block a few times per day. The Chinese Shar-Pei is an excellent guard dog, very territorial and highly alert. They can be somewhat prone to barking. HOW EASY IS IT TO TRAIN A CHINESE SHAR-PEI? This noble dog is an independent thinker and can be reluctant to respond to training. Start early and be patient and consistent with your pup. Socialization with strangers and young children while they're still puppies is essential. 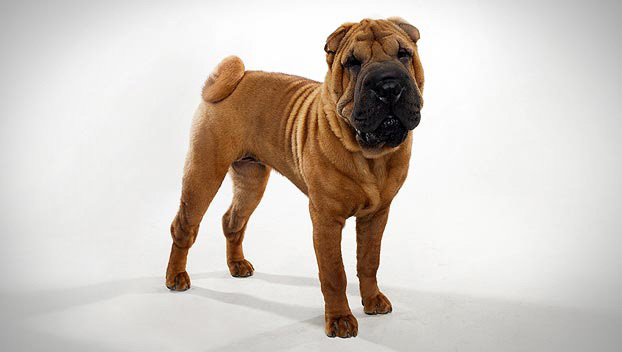 Your Chinese Shar-Pei would benefit from formal classes and working with experienced trainers. HOW MUCH DO CHINESE SHAR-PEIS SHED AND WHAT ARE THEIR GROOMING NEEDS? That sand-skin texture means their single-coats are short and rough. Chinese Shar-Peis don't need much grooming. But be sure to clean those folds in their skin regularly — they can sometimes trap bacteria and cause infection. You'll also need to bathe this dog regularly. WHAT HEALTH PROBLEMS DO CHINESE SHAR-PEI HAVE? 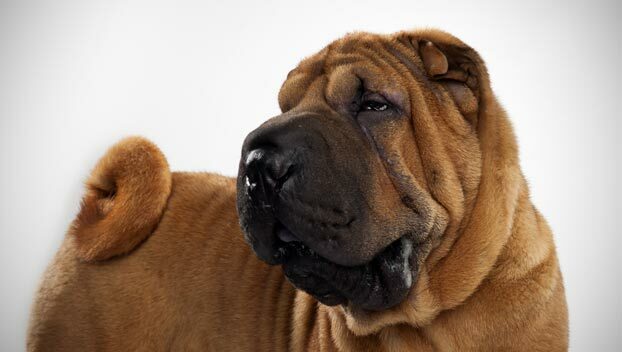 Chinese Shar-Peis as prone to skin irritations, allergies, and eye disease. Some tend toward obesity, so be mindful of feeding habits. ARE CHINESE SHAR-PEIS GOOD FOR PEOPLE WITH ALLERGIES? 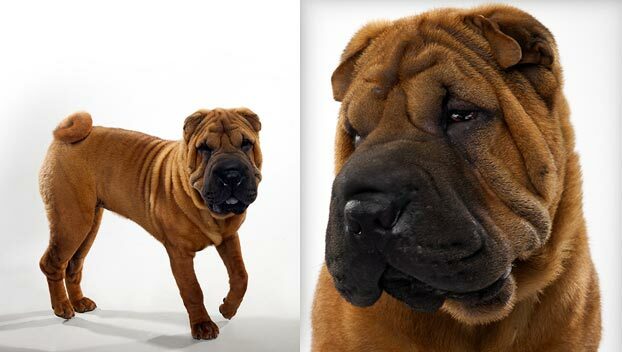 The American Kennel Club doesn't list Chinese Shar-Peis among its breeds recommended for allergy sufferers. You can reduce your furry friend's impact on your allergies with frequent baths and brushings to reduce loose hairs and aggravating proteins in your pet's dander. Use a damp cloth to wipe off your dog after you've been playing outside. Smaller dogs have less surface area, and so produce comparatively less dander than larger breeds — definitely something to keep in mind with a dog as large as a Chinese Shar-Pei! Remember that no breed is 100% hypoallergenic, and any breed can aggravate allergies. WHAT'S A CHINESE SHAR-PEI'S BEST DAY? Keeping her family safe and warding off anyone she feels doesn't belong. SHOULD I ADOPT A CHINESE SHAR-PEI? If you're the rugged outdoorsy type who wants to hike with their dog for hours at a time, the Chinese Shar-Pei is probably not for you. But this loyal and sedate breed is adaptable to many environments as long as it's getting enough exercise — and it doesn't take much to wear a Shar-Pei out. 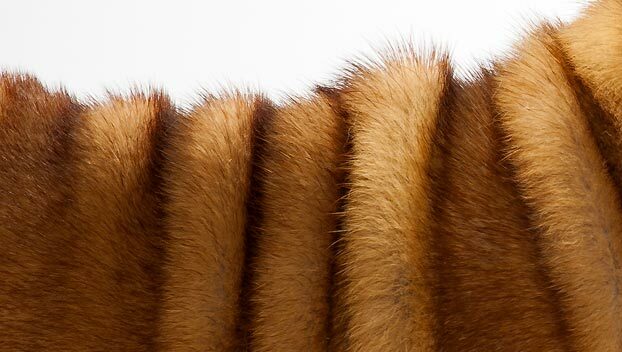 They thrive in the cold but wilt in the heat, don't require much grooming, and will always have your back. Have you decided that a Chinese Shar-Pei is the perfect dog for you? Why not be your new best friend's hero and adopt a rescue! Be sure to check out our article on what to expect when you're adopting a dog or cat.